Mobile app industry has gone through a series of developmental changes in the last few years. Every year round there is an innovative research happening, resulting in the release of updates and trends in the mobile app industry. There were a few amazing trends in 2017 that did come to light but somehow failed up to some extent to hit the market. This being the primary reason, mobile users across iOS, Android and other platforms are expecting a surge of trends that would benefit the market. 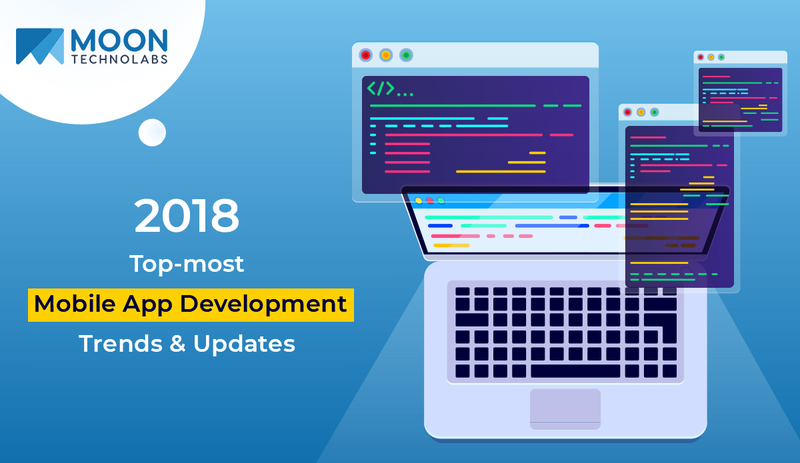 Let us all focus on some of the trends that played important role in 2018 mobile app development. These trends allowed businesses to cater to increased user’s need and help owners in achieving higher success in their business. 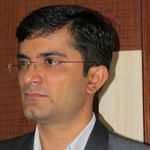 Mobile wallets have increased tremendously and there is an obvious reason for that to happen. Ofcourse, with all our day to day activities are getting relied on mobile apps such as booking, shopping, etc. mobile wallet apps were undoubtedly are on the verge of being trendiest. Wallet in the form of apps offers more security and hence, mobile app developers are in more demand to build such mobile wallet apps. Lots of financial institutions and banks are now connected with mobile payment technology to provided enhanced banking services to customers. This has proved to be a successful step for online mobile banking. Paytm wallet, Apple pay are just a few among the long list of such wallet apps. These apps have gained momentum drastically since, past couple of years and now are in the list of mainstream apps. On-demand apps for e.g, Just eat, Uber etc has made life easier by providing/delivering door-step products and/or services have resulted in their increased importance and hence, charts in the top-list of trendiest apps of 2018. IoT has been one of the eye-catchy and alluring trends of 2018. It is optimally favored by the maximum number of users. IoT easily works in coordination with wearable tech and devices and smartphones. It can operate with smart bulbs, thermostat, radiators and smart home systems including entertainment. More and more familiarity with wearable technology reflects that how mobile users are getting acquainted and receiving new technological trends. With the ease of control and operability for IoT, it has a huge impact on the mobile development services. One of the most predicted and exciting trends of 2018 was cloud-based applications. These apps will solve the current issue of limited storage space in smartphones as an average mobile user have around 30 to 35 mobile apps in their phone. Cloud-based apps could target this problem and present solution by offering to store mobile apps internal storage to cloud-based storage. Mobile app development companies striving to work on such apps so that users no longer have to worry about the storage space problem with their smart devices. Face Id recognition feature plays an important in mobile security. Facial detection provides an extra layer of securing your personal data present in the mobile and hence, being counted as one of the trendiest features of 2018 when it comes to mobile app development technology. iPhone fond this technology amazing which allows a user to interact with devices in a unique manner. Now, the same system is enabled to form a security identity. So far 2018 has not only shown the tremendous potential in the growth & development of these apps but also in near future will provide with the innovative application that will make people even more addicted to their smartphones. A top mobile app development company needs to ensure to get adapted to users needs may it be by learning, measuring and quickly following to users’ needs or market trends. Moreover, to bring upon such changes in the app can be done with constant innovation and regular updates in the app. For successful enterprise mobile app, mobile app development companies also need to keep updating the app with ongoing development. At the core, Moon Technolabs is driven by the vision, sharpness and flourished under the leadership quality led by none other than the founder & CEO i.e, Mr. Jayanti Katariya. His simple-approach & never-give-up attitude is the virtue or rather aptitute that the entire team tries to grasp and follow. From client relations to business development, from industry updates to floor walking, he does everything in his power to provide support to the team. He always puts the effort in enhancing and building team's technical abilities. His other interests and hobbies include traveling, sports and technical reading.